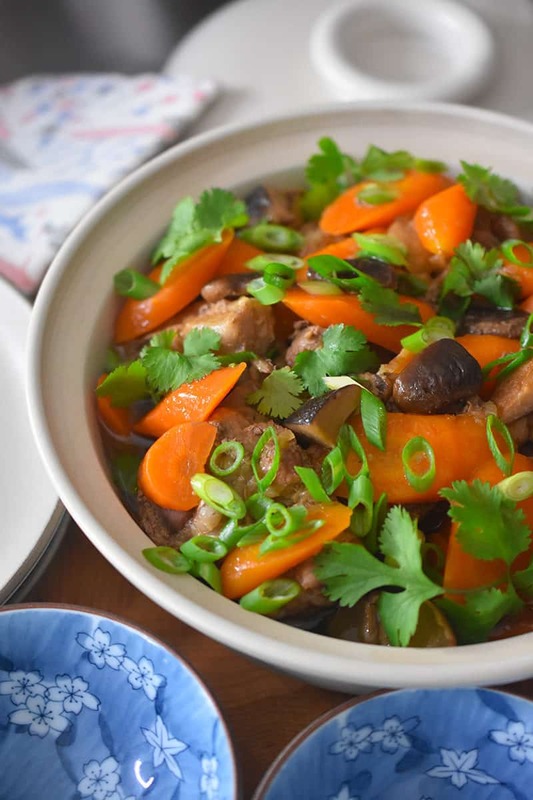 The original stovetop version of this recipe, Braised Pork in Coconut Water, is in our latest cookbook, Ready or Not!, and I included brief instructions on how to make it in an Instant Pot and slow cooker. 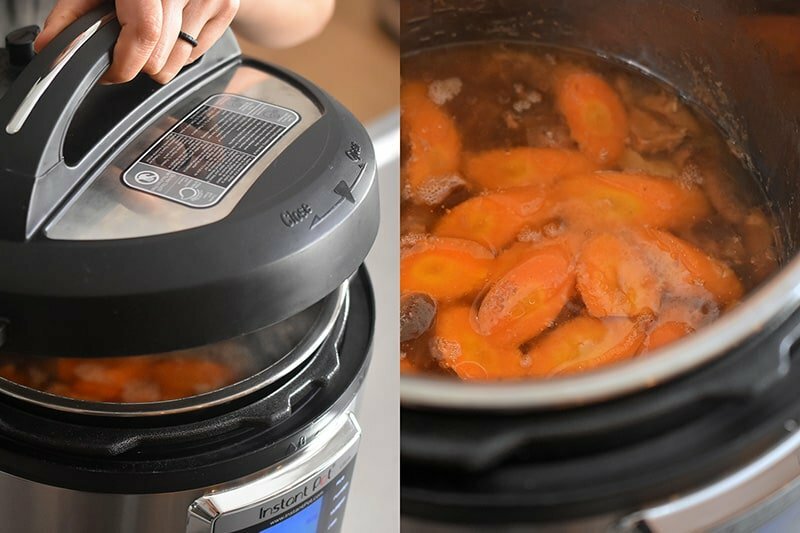 But I know you guys like step-by-step pictures, so we created and photographed this new Whole30-compliant Instant Pot Vietnamese Pork Stew recipe! Yes! 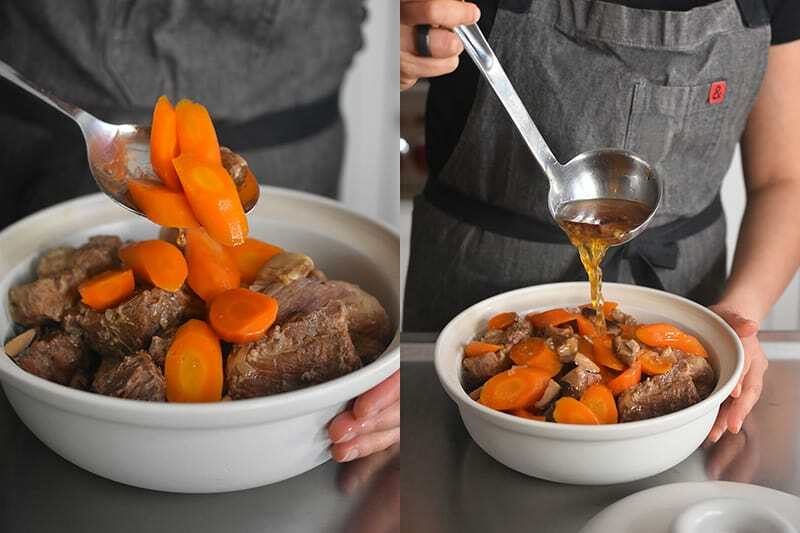 You can sub in cubed chuck roast and make a beef stew using the same cooking times. If want to make the stew with chicken thighs, I recommend decreasing the cooking time to 15 minutes under high pressure. There’s no need to brown the meat ’cause it’ll still taste great without it. There’s a great article in the New York Times titled “Deep Flavor, No Browning Required” that explains why you don’t have to brown your meat for stews. Remember: I’m here to teach you shortcuts to deliciousness, which means I’m all for skipping unnecessary steps! Can I leave out the fish sauce and/or coconut water? To be honest, it really wouldn’t be the same dish without the fish sauce or coconut water. 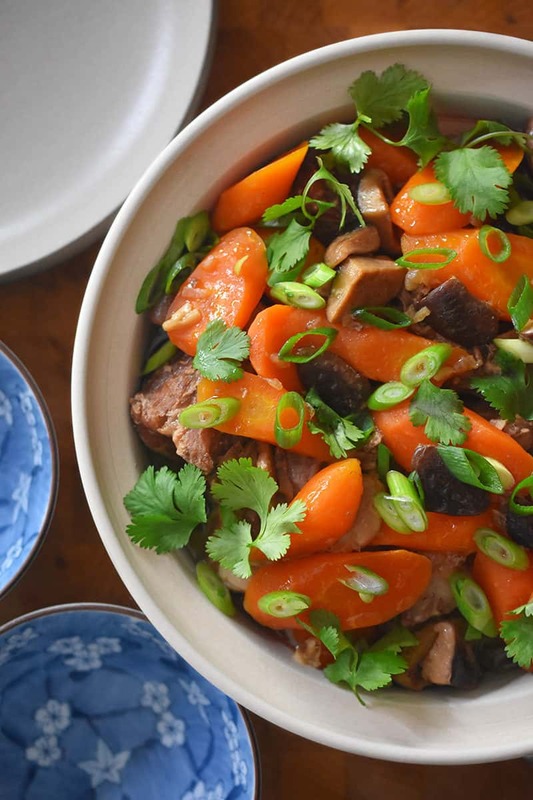 Besides, my Instant Pot Vietnamese Pork Stew doesn’t taste like coconut or fish—it’s just umami-rich and nomtastic! 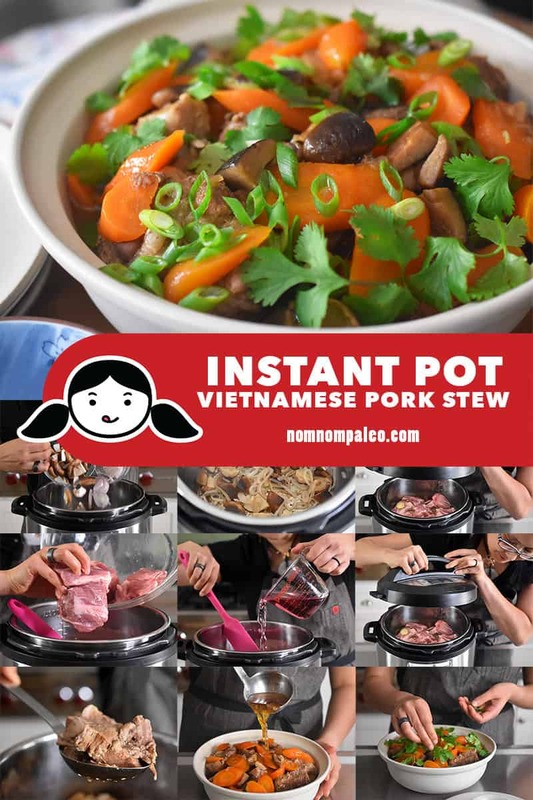 What do I serve with this Instant Pot Vietnamese Pork Stew? Simple cauliflower rice, stir-fried bok choy, or steamed Napa cabbage are all great side dishes! Sauté the shallots, shiitake mushrooms, ginger and garlic in the first two steps with some coconut oil in a large skillet on the stovetop and transfer the veggies to a slow cooker. Add the rest of the ingredients (except the carrots if you don’t like ’em mushy) into the slow cooker; then, cover and cook on low for 8 to 10 hours. 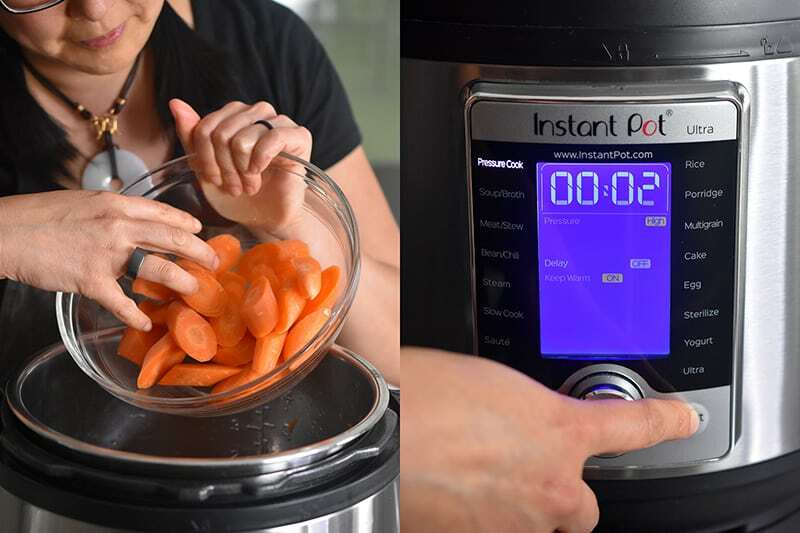 You can toss in the carrots in the last 30 minutes. Garnish with cilantro and scallions at the end. Leftovers can be kept in a sealed container in the fridge for up to 4 days or in the freezer for 3 months. If you only have a little stew left, toss it in an Instant Pot with extra broth and chopped up veggies to make soup! Alright, people. 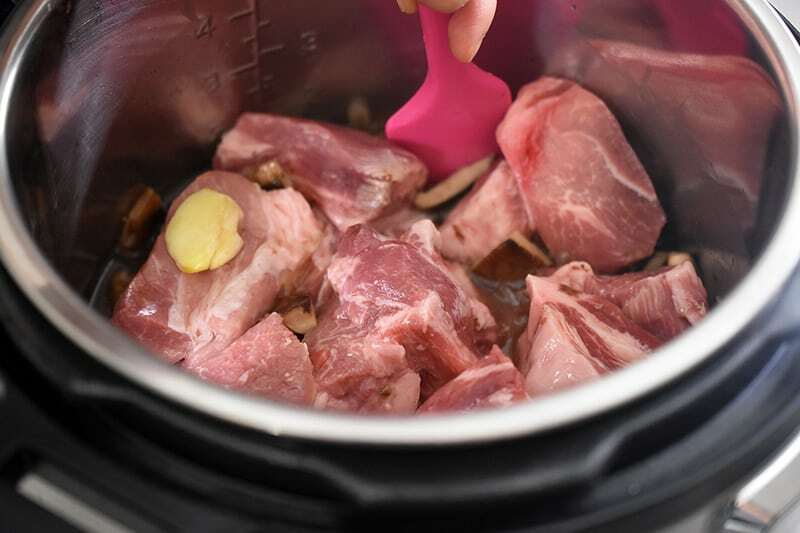 Let’s make some Instant Pot Vietnamese Pork Stew! 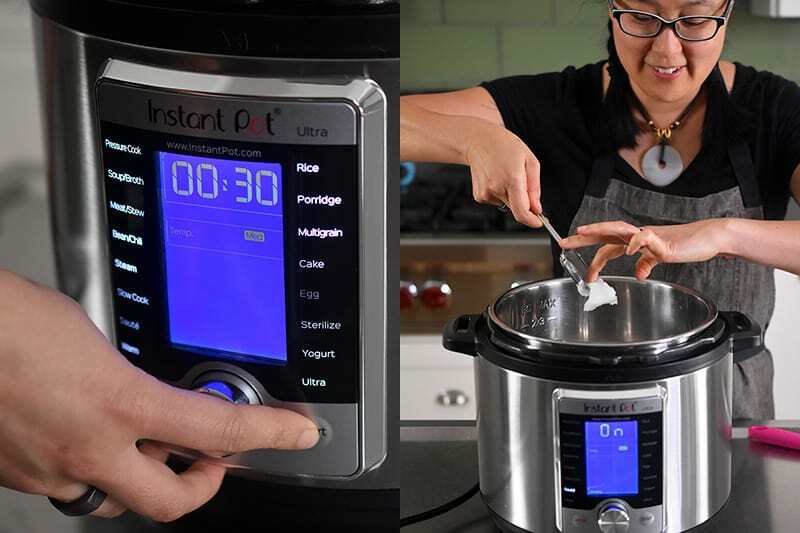 Turn on the sauté function of the Instant Pot and add the coconut oil or your fat of choice when the metal insert is hot. 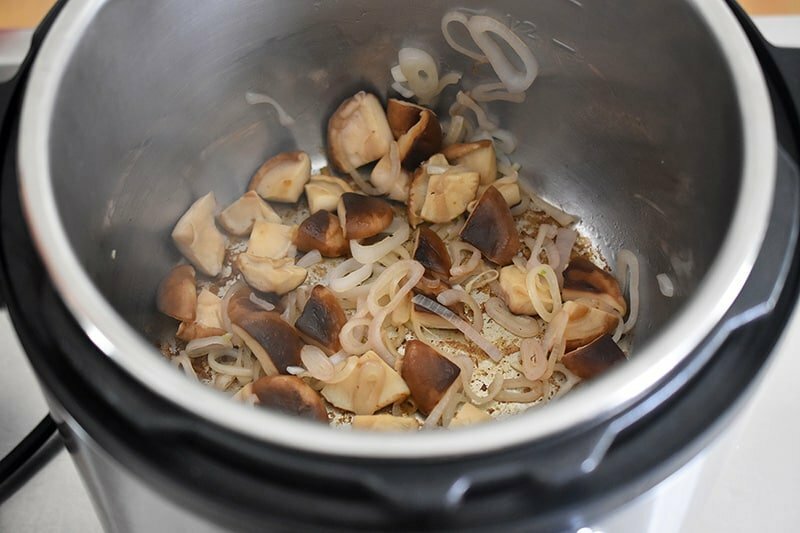 …and cook until the shallots are softened and the mushrooms are cooked, about 3 to 5 minutes. Stir in the ginger and garlic and cook until fragrant. Add the pork cubes and stir well. 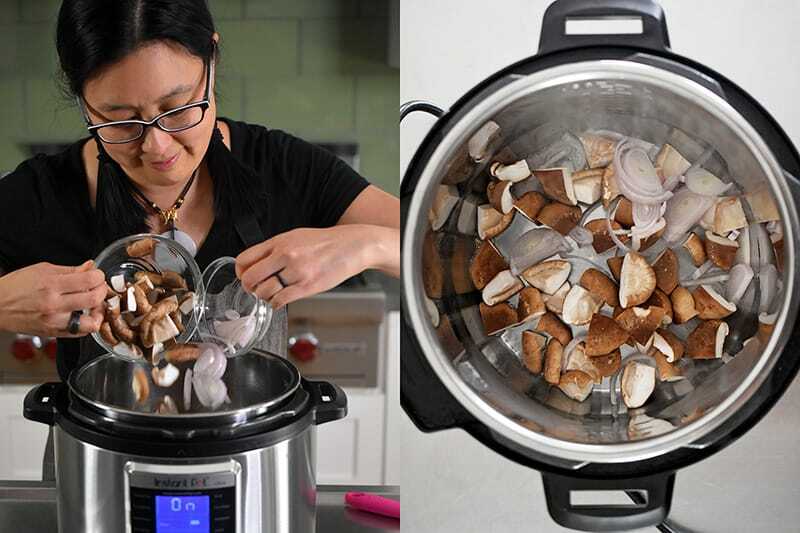 Stir well, scraping any browned bits from the bottom of the Instant Pot. Cancel the sauté function. 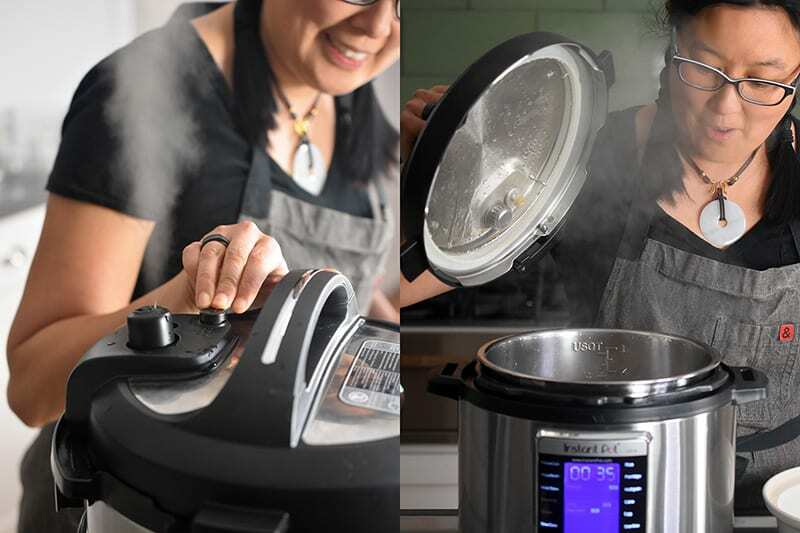 Lock the lid of the Instant Pot and program it to cook for 40 minutes under high pressure. 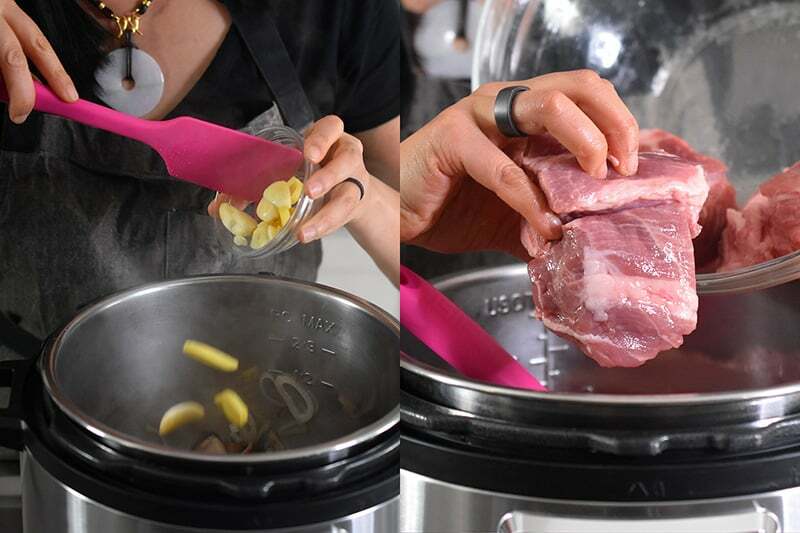 When the stew is finished cooking, allow the pressure to drop naturally. If you’re impatient, wait 15 minutes and then manually release the pressure. Check that the pork pieces are fork tender. (If it’s still a little tough, cook under high pressure for another 5 to 10 minutes.) Taste and adjust the seasoning of the sauce with more fish sauce or salt if needed. 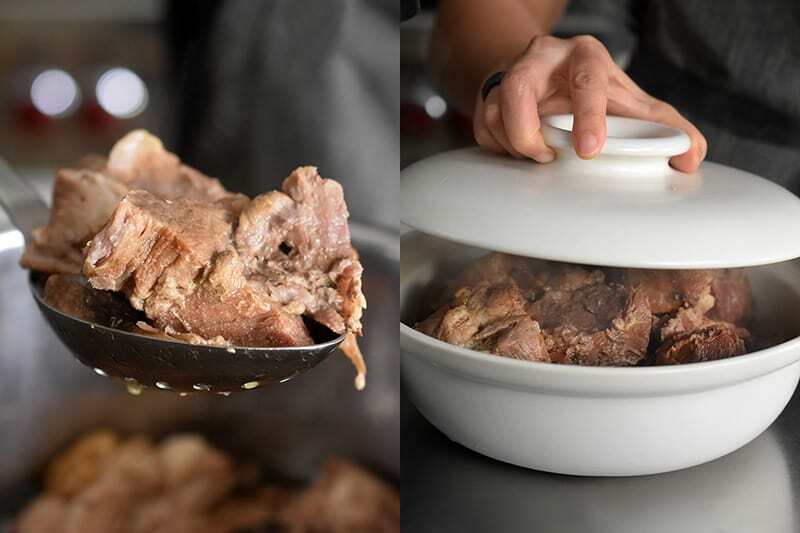 Use a slotted spoon to transfer the pork to a serving platter. Cover to keep warm. Carefully add the cut carrots to the cooking liquid (watch out for hot splashing liquid!) and cook for 2 minutes under high pressure. Release pressure manually and remove the lid when the contents have depressurized. 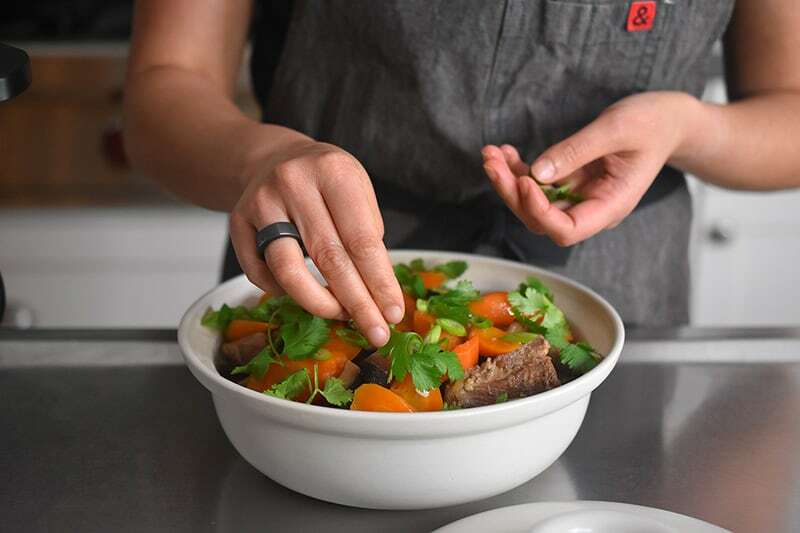 …and garnish the stew with sliced scallion or cilantro. Want more inspiration from my past January Whole30s? Check out my Day 8 posts from 2018 and 2017! Toss in the shallots and shiitake mushrooms, and cook until the shallots are softened and the mushrooms are cooked, about 3 to 5 minutes. Pour in the coconut water and the fish sauce. 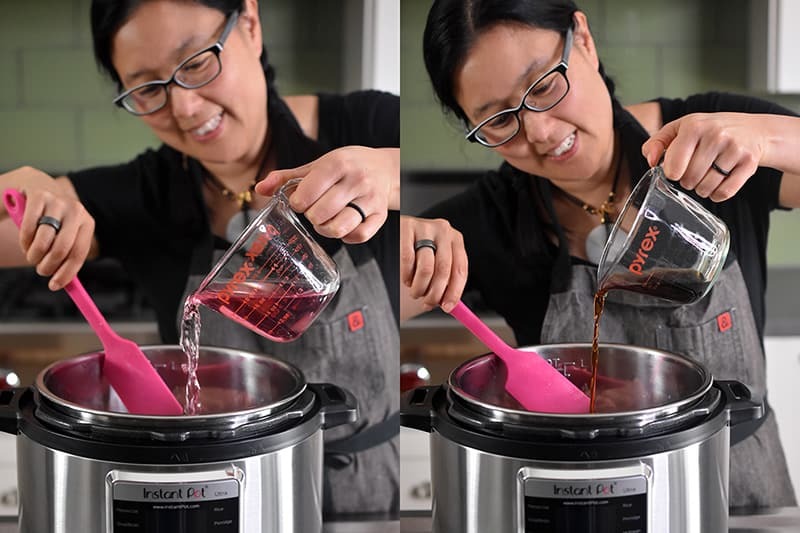 (I normally use ¼ cup fish sauce, but if you’re new to fish sauce, start with 3 tablespoons.) 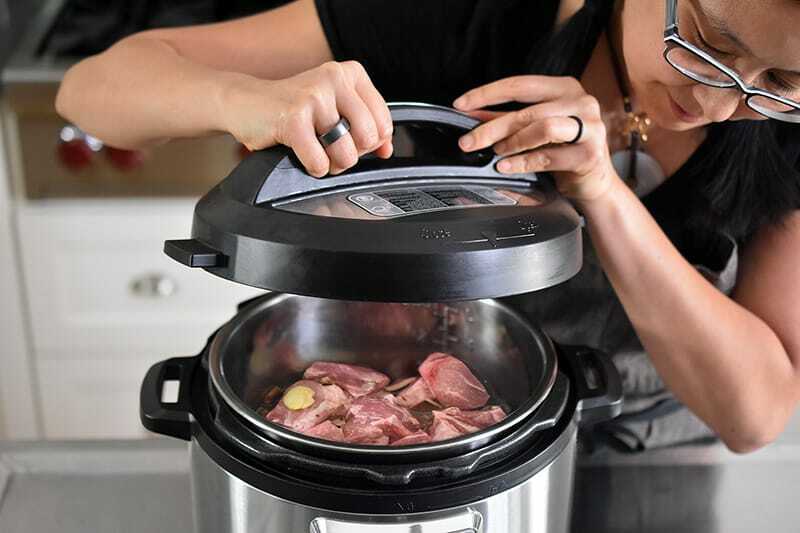 Stir well, scraping any browned bits from the bottom of the Instant Pot. Spoon the carrots and cooking liquid onto the pork and garnish the stew with sliced scallion or cilantro.